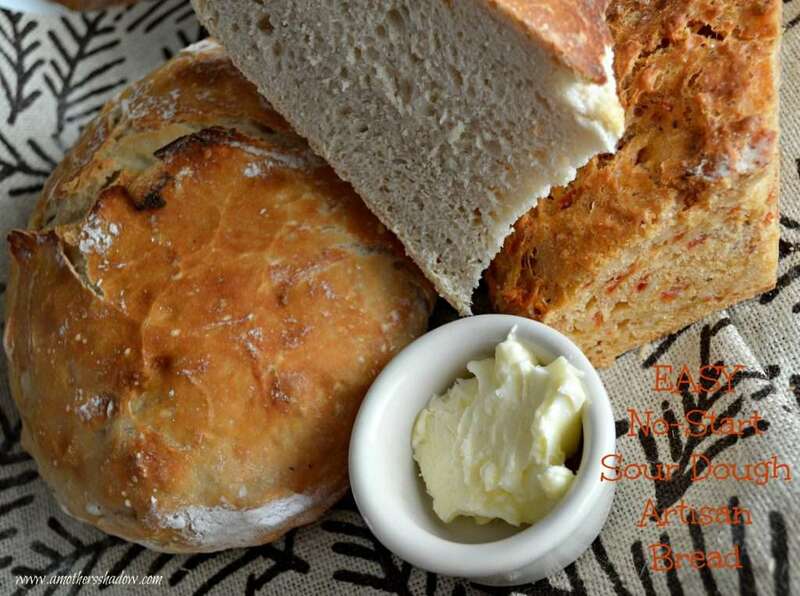 Do you love the artisan breads in the gourmet sections of the nicer bakeries, but, hate the high prices? The taste of sour dough is fabulous. 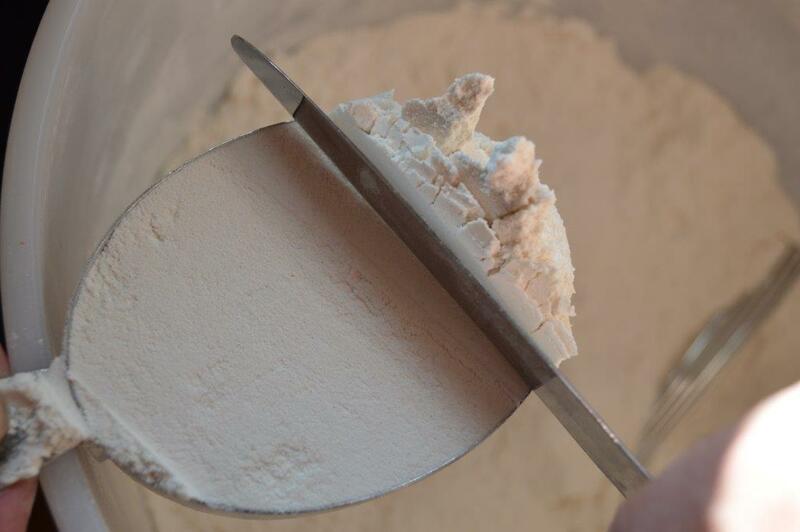 But it requires a ‘start’ which is a combination of ingredients that is stored and used from over and over; and you have to remember to use it and add to it to keep it fresh and best for baking and cooking with. Well, this recipe solves all of these issues magnificently! 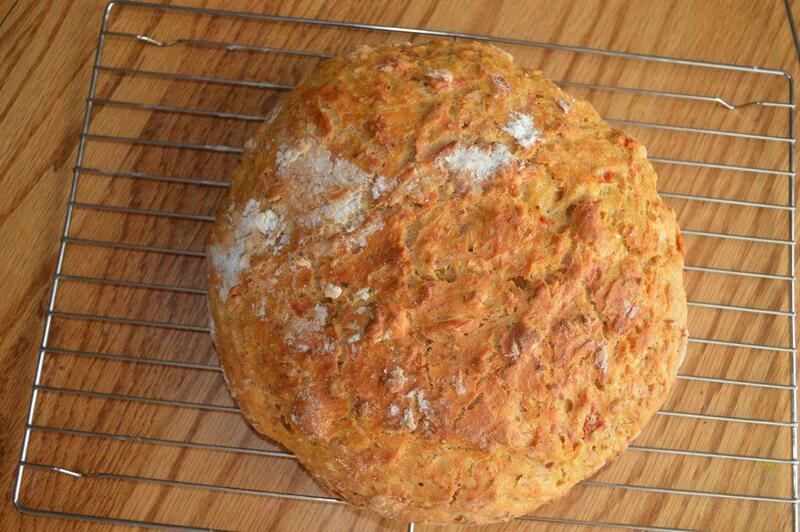 It also costs just pennies to make this amazing gastronome bread. And, it is SO EASY,anyone can do it! 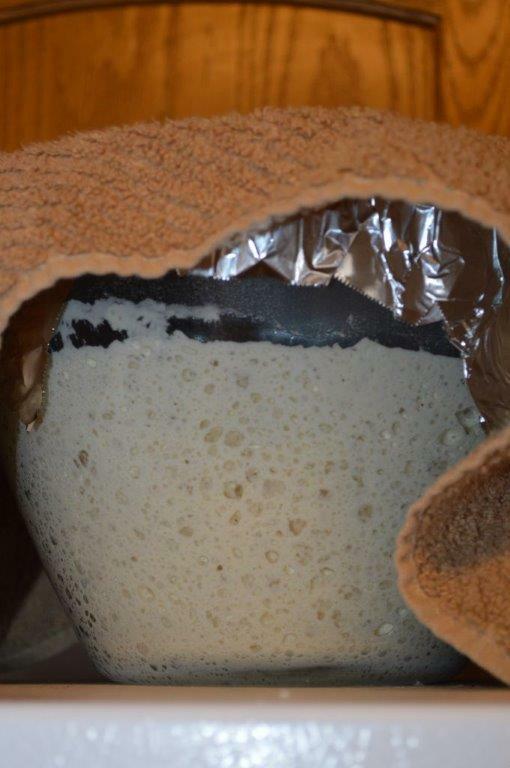 The taste of sour dough develops on its own without a ‘start’! 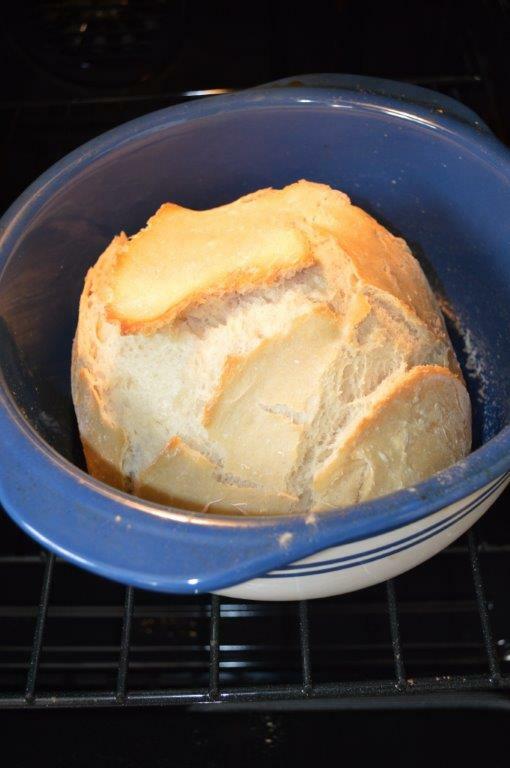 And you can add in your choice of opt-ins or leave it as it is with the marvelous mild sour dough flavor. To make sure you are successful, I am giving you lots of pictures and tutorial, though it really is simple. 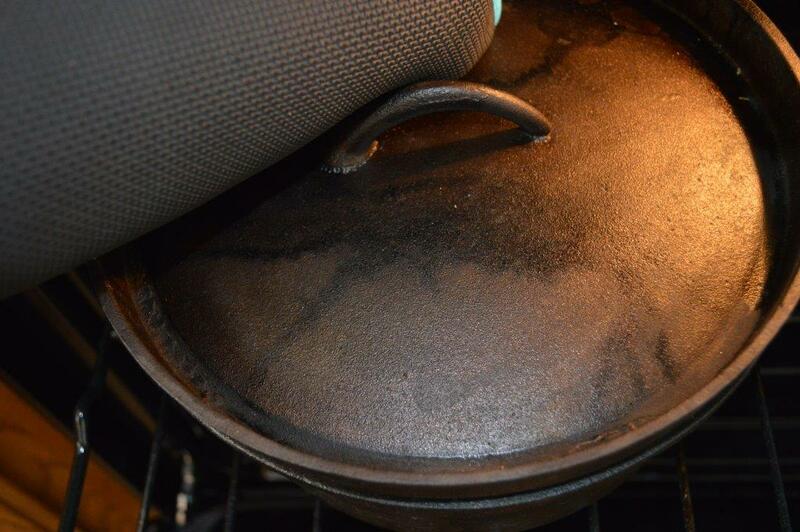 Also you can use a traditional dutch oven, or heavy casserole dish with a lid. 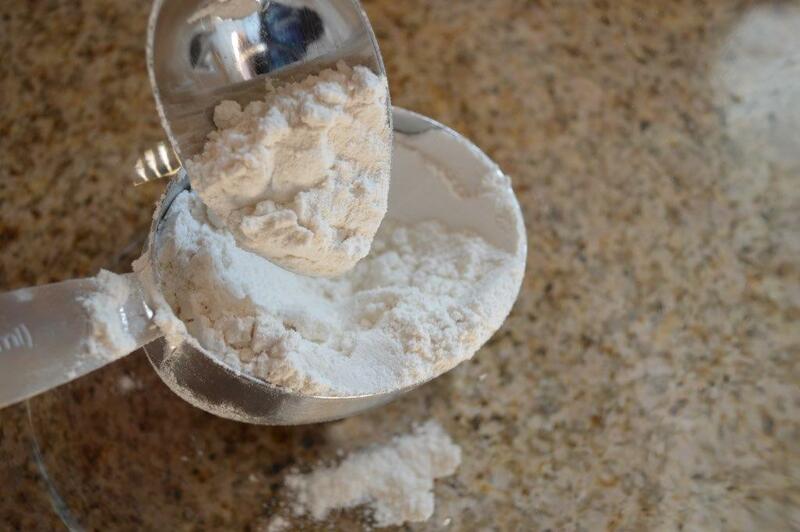 Directions: Stir the flour and spoon into a dry measuring cup. The reason for this, is that flour settles in the bag or a container. This method adds air back in and measures correctly. 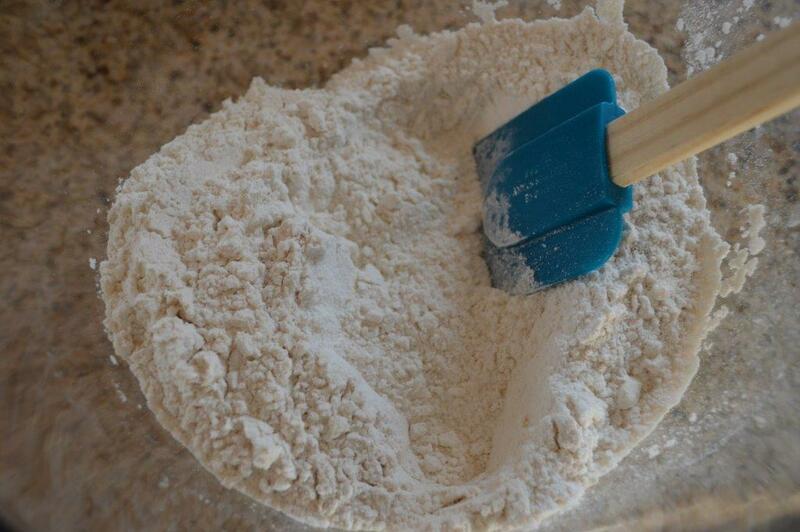 Scrape off excess flour with the back of a table knife for accurate measurement. 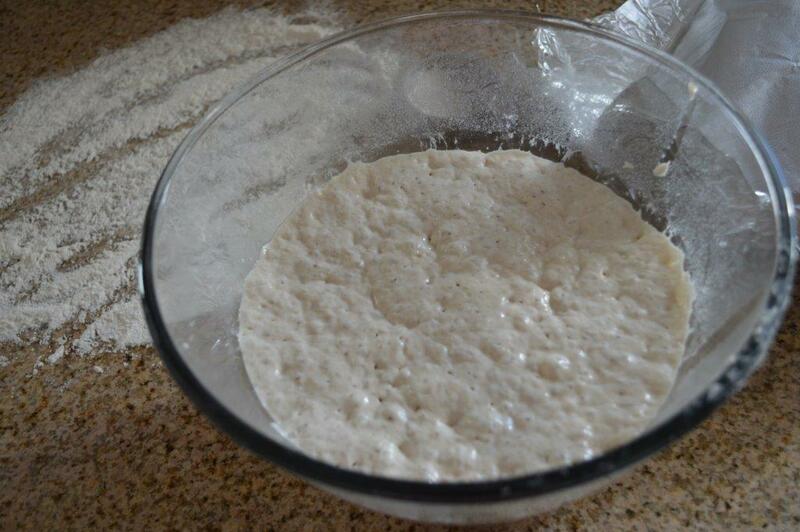 In a large glass bowl combine the flour, yeast and salt; stir until well combined. Add in the warm water that is the temperature of a baby bath. Mix well with the spatula. *IF adding additional ingredients, this is the time to do it. For this add in 1/2 cup chopped Oven Roasted Sundried Julienned Tomatoes with Roasted Garlic (click HERE for the recipe) and 1 cup grated mozzarella cheese Cover the bowl, whether using the original recipe, or the one with the additional ingredients. 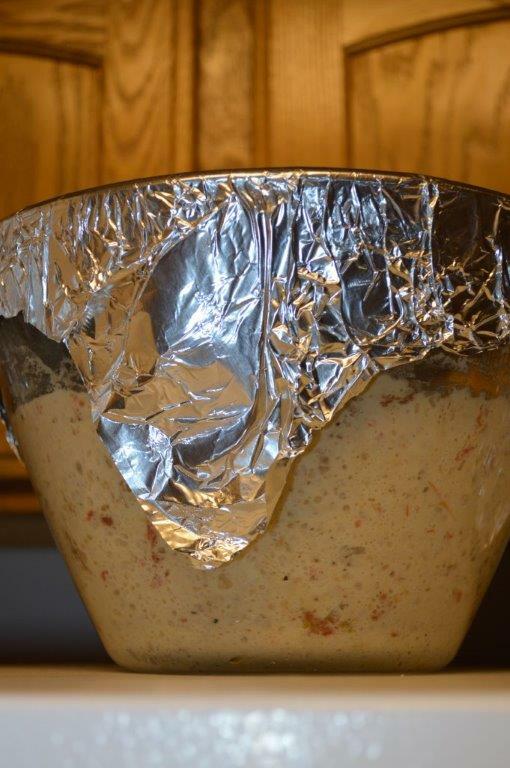 Cover tightly with tin foil and let sit on top of the fridge, on the counter, where ever, as long as it is warm; let it sit undisturbed for 12-18 hours. 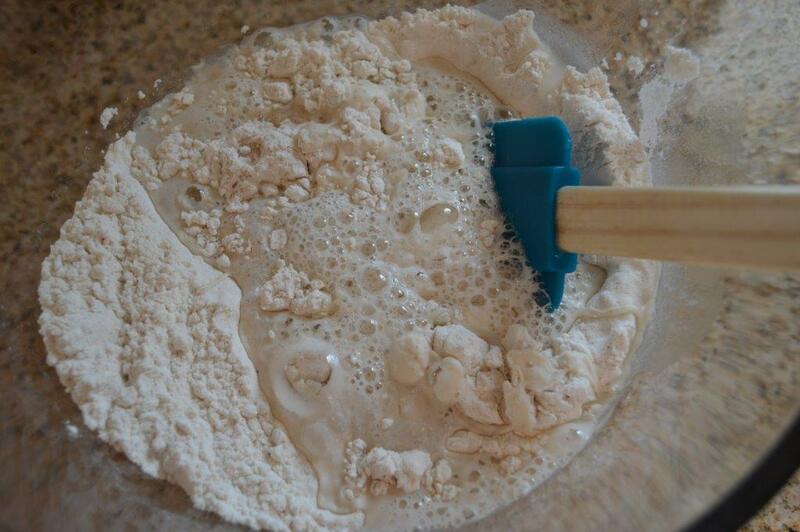 The dough will turn into a wet, bubbly goo substance something like this. Do not touch or stir. This is what the recipe will look like after 8 hours, just to give you an idea. If you are in a hurry, or if your house is less than 60 degrees, you can drape a towel over the top to hold in the heat. 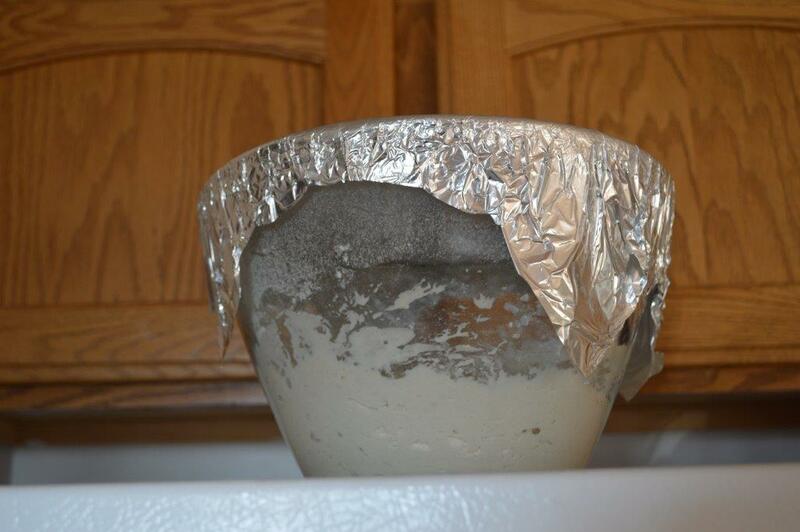 After 12-18 hours of the bread dough rising, sanitize and clean your counter top or cutting board. 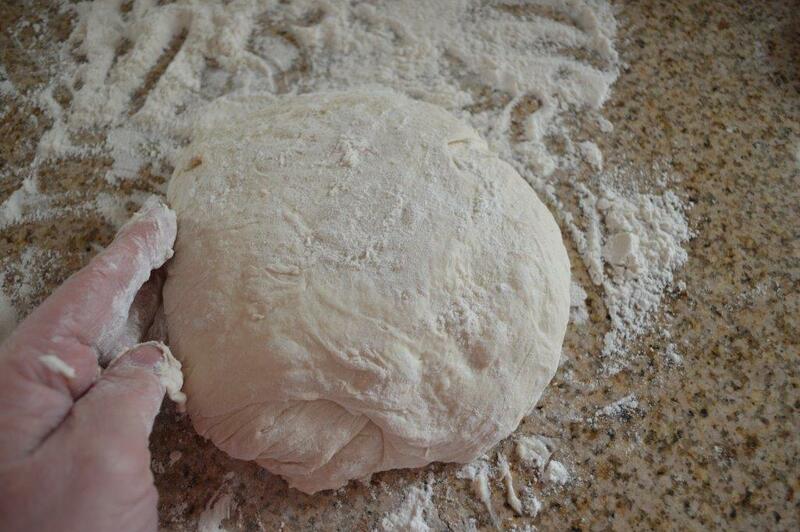 Dust it lightly with flour. 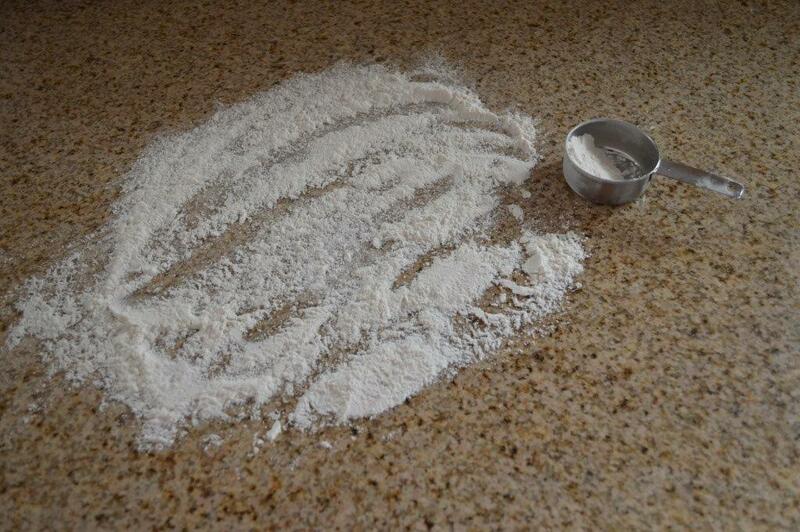 Pour the dough out of the bowl onto the flour. It should slide right out. Help with a spatula if needed, but do not stir. 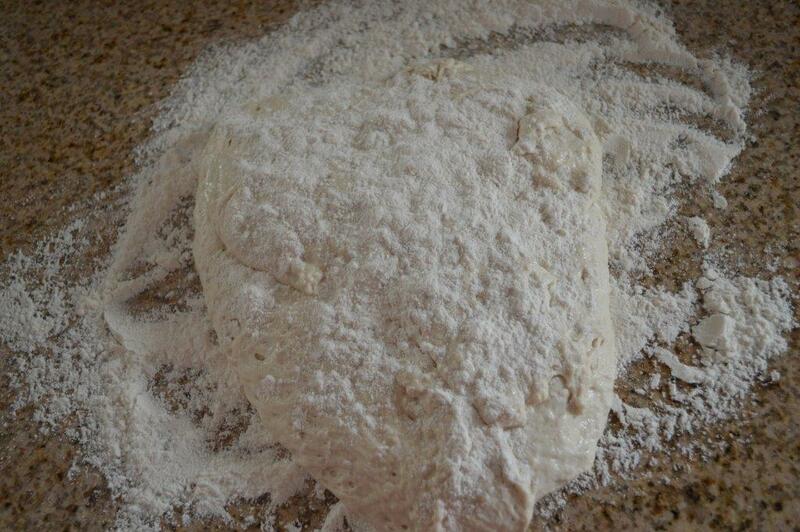 Dust the top of the dough with flour. 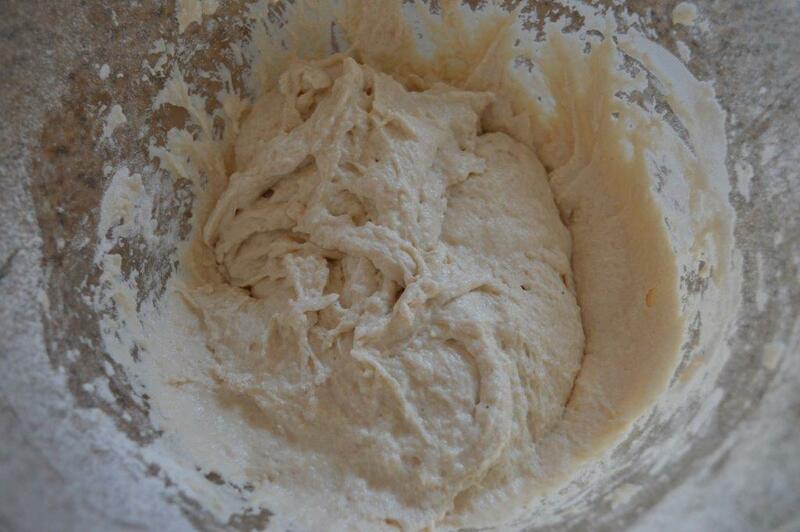 Turn it over a couple of times just so it forms a ball – well sort of – do NOT knead the dough. 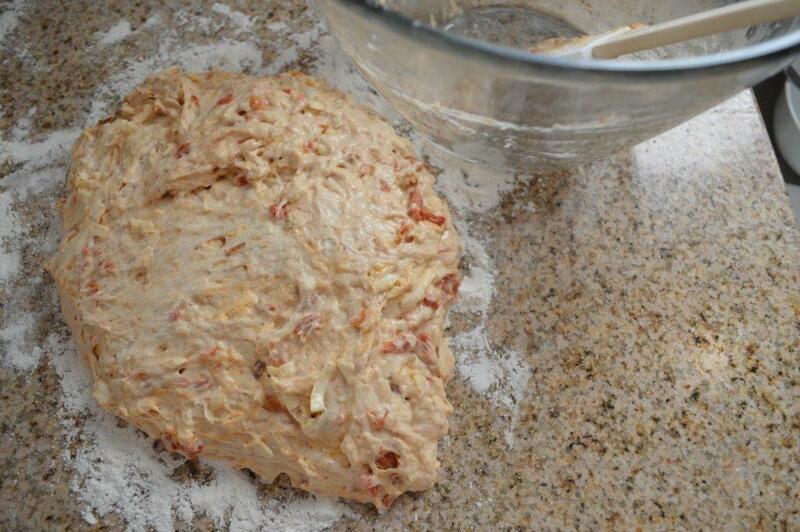 When adding in the sun dried tomatoes and cheese it will have more moisture and will require a bit more flour as your gently work the dough into a ball. 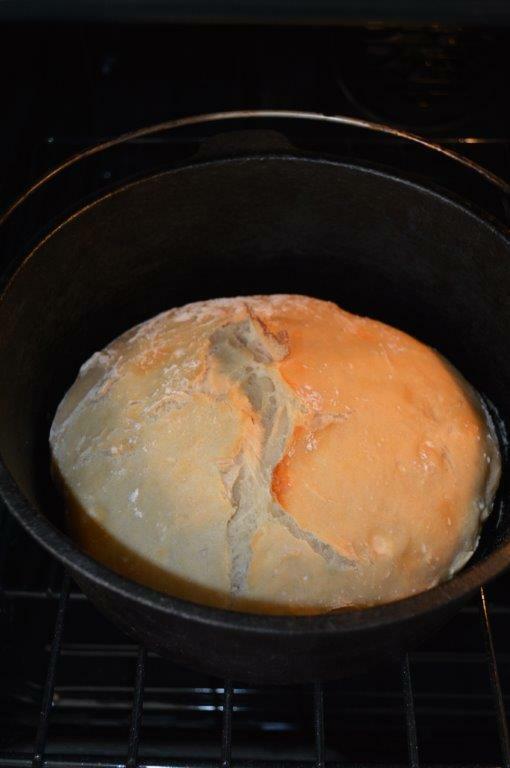 One-half hour before you are ready to bake, place the dutch oven, or enamel cast iron dutch oven in a COLD oven. 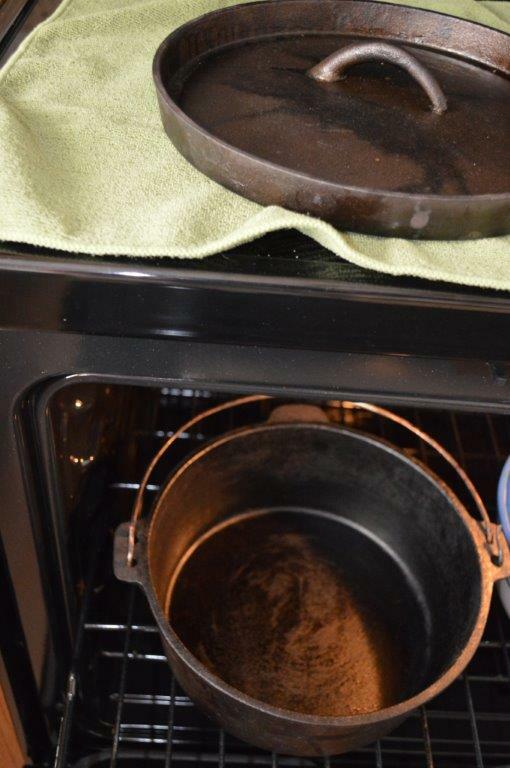 Turn the oven on to 450 degrees and allow the dutch oven (empty) to stay for 30 minutes while oven heats up; thoroughly heating the oven or dish you are using, along WITH the lid. AFTER 30 minutes CAREFULLY with hot pads remove the heated lid from pot. Gently, using a dough scrapper to remove the dough from the counter, drop the ball of dough (that has been sitting, covered for 30 minutes-2 hours) into the heated and very hot pot. Carefully, with hot pads replace the lid and bake at 450 degrees for 30 minutes. 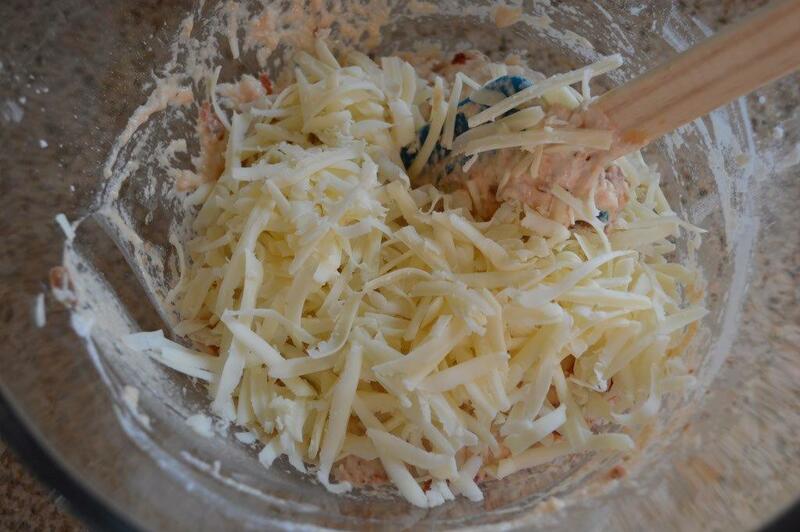 Remove lid and bake an additional 7-15 minute without the lid. 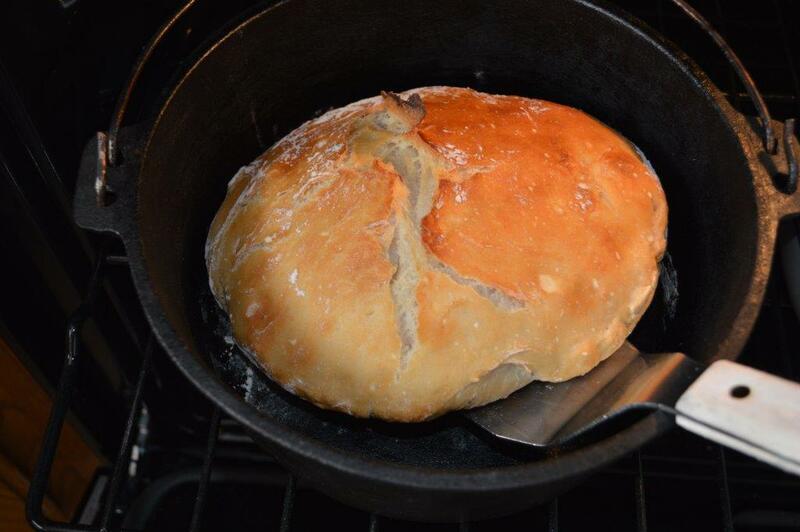 Continue to cook until the bread is crusty and a nice medium brown color. 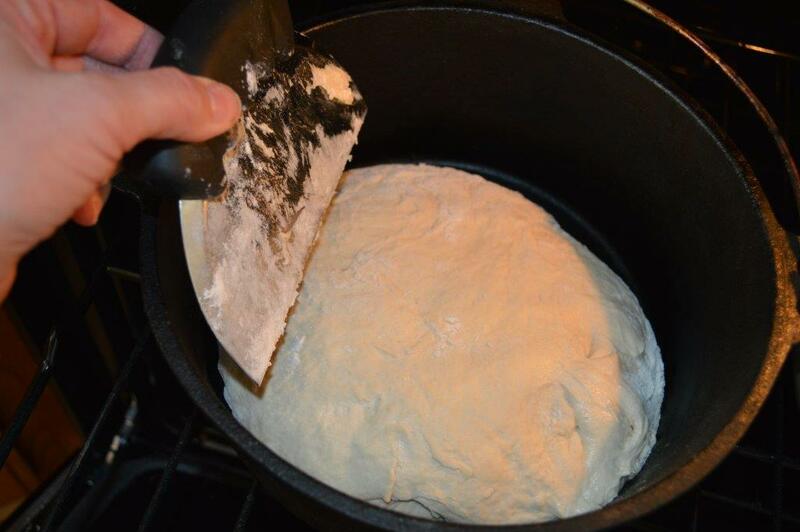 Very carefully remove the bread with a metal turner/spatula. I like to use a thermonater to be sure of the internal temperature for doneness, 190 degrees. Cool on racks. Enjoy with butter or balsamic vinegar and olive oil. This bread is excellent in more ways than I could list here. Try it as a toasted cheese sandwich, in a panini, with slices of meat, or whatever your creativity comes up with. Make some up today and give as a gift too!